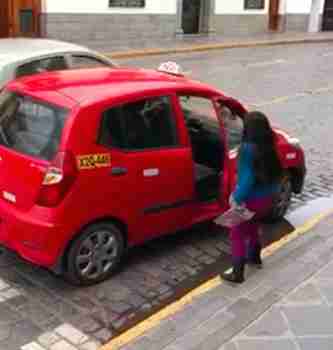 A man was walking down the busy city streets the other day in Cusco, Peru, when he saw something he had never seen before. 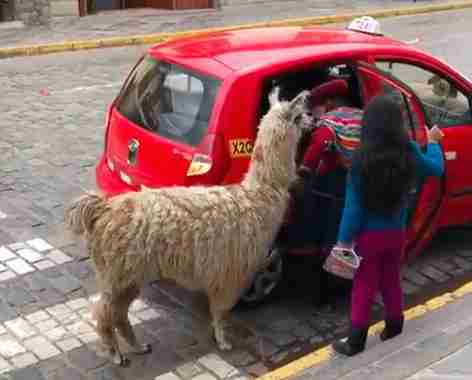 A family was climbing into a taxi cab — and one of the family members was an alpaca. That's when the man knew he had to take a short video to capture the moment. "He had never seen something like it," Andre Mendivil, the son of the man who took the video, told The Dodo about his dad's reaction. 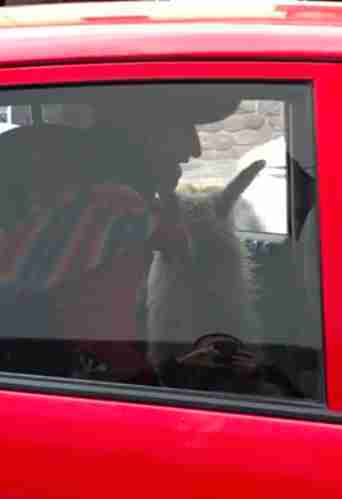 In the video, a woman climbs into the back seat, while a little girl holds the door open and the alpaca patiently waits for the woman to get settled. 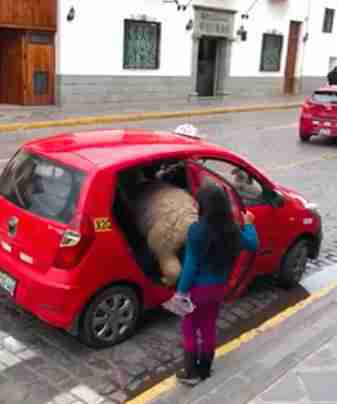 Then the alpaca climbs in behind her as the little girl keeps holding the door. Both settled, she shuts the door behind them, and climbs in the front seat — it would have been too much of a tight squeeze in the back. The Mendivils believe the family was probably going back to their home from the city. 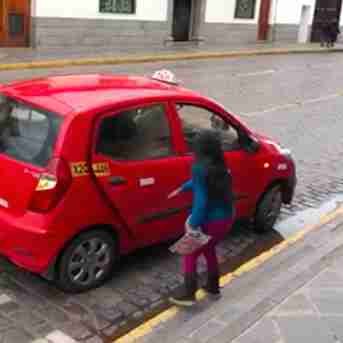 "It shows that in Cusco there is no such thing as animal discrimination. Lol!" Mendivil joked. Alpacas are domesticated animals but are related to the wild vicuna, the national animal of Peru, who was once on the brink of extinction before conservation efforts in the 1970s helped to bring the population back. 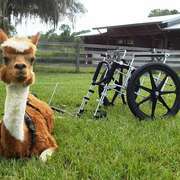 This particular alpaca obviously has no trouble cohabitating with people — and vice versa.